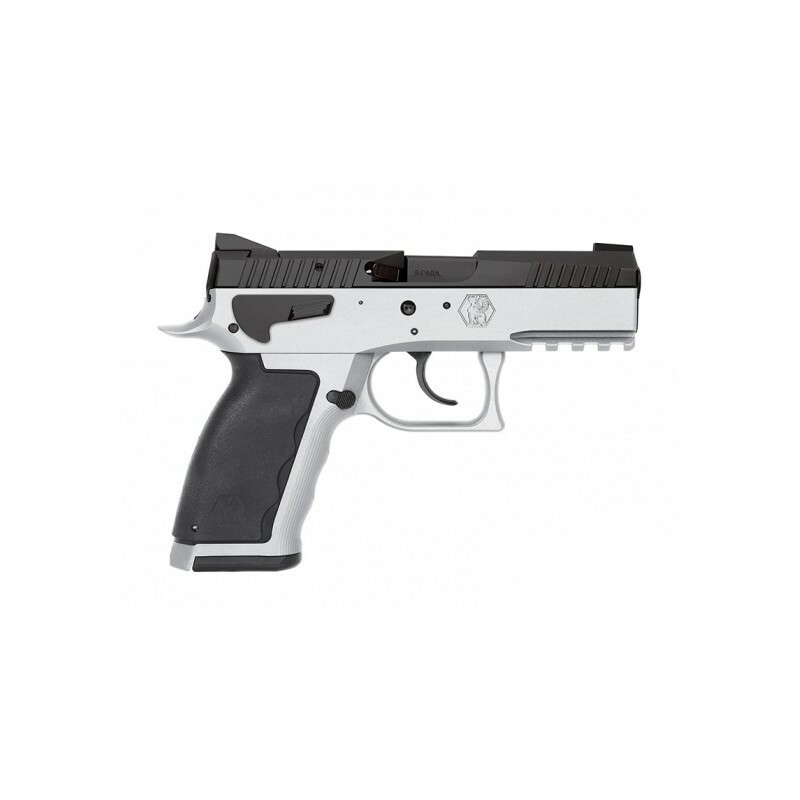 The SPHINX SDP Compact Duotone is the multirole pistol that excels in self-defense, tactical duty use, and competition. One tool, any job. 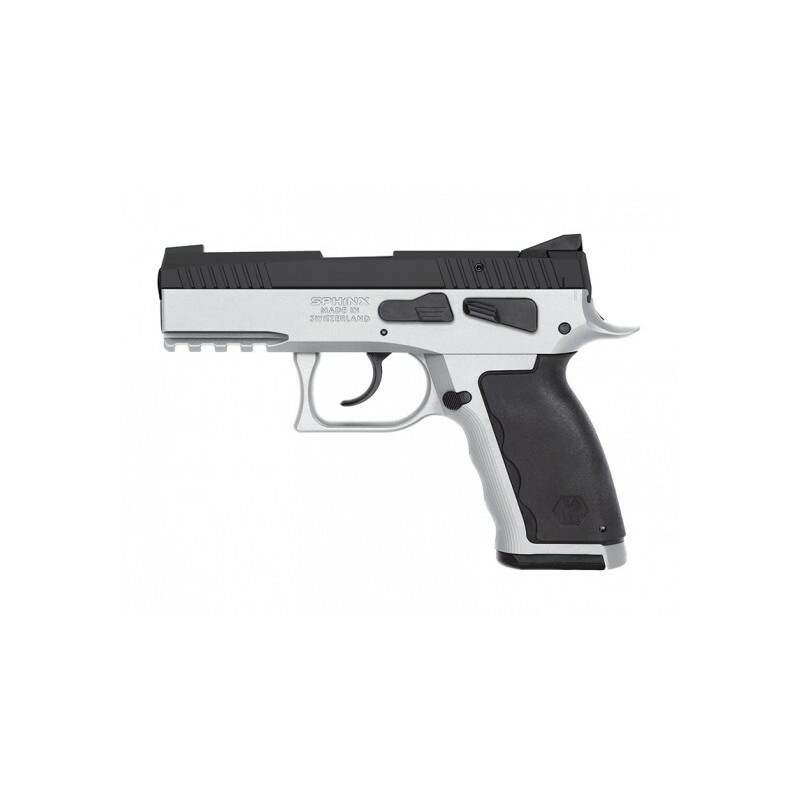 The SPHINX SDP Compact Duotone is a duty-sized pistol for the most discerning of defensive competition shooters. The SDP Compact Duotone features a full steel construction, which gives it just the right amount of weight help mitigate recoil forces without being too heavy to carry. Every design feature on the SDP Compact Duotone is tailored to maximize performance, quality, and ergonomics. The competition inspired trigger is very smooth with a clean break and short, crisp, reset. The steel slide is machined from billet and is hand fitted to mate perfectly with the interior, full length guide rails, of the billet steel upper frame. The steel pistol grip features interchangeable back-straps to adjust length and width of the grip, the grip inserts are specifically designed to maximize contact with the support hand for added control. Also for added control, the high trigger guard shape and beaver tail allow for high hand placement on the pistol frame to compliment the low bore axis of the barrel, which allow the shooters to easily manage recoil. A Picatinny rail on the frame allow for the addition of modern tactical shooting accessories. 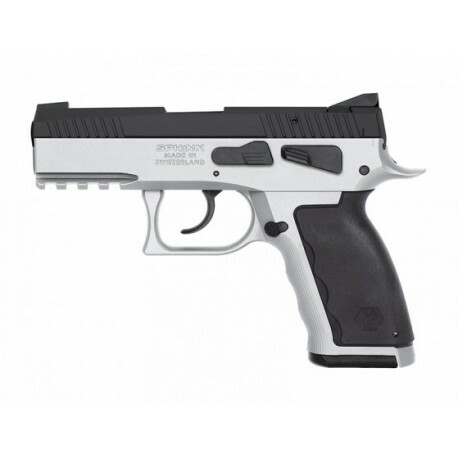 The front and rear cocking serrations offer different options of firearm manipulation and the dotted front sight contrasts with the black rear sight for quick target acquisition. Ambidextrous features include the decocking lever and a magazine release that can be switched to either side. The slide release lever also serves as the take-down pin and is located on the left side of the Compact Duotone. Every component of the SDP Compact is manufactured to the highest standards and tolerances are extremely tight. Derived from competition and built for duty use, the SDP Compact is the ideal gun to suit your needs on the job, in the home, or in the shoot box.